Young children are so ‘open’ to learning. They are creative, inquisitive and just love learning new things. In the preschool days their learning is at a level they will never experience again as is their enthusiasm to learn. They are learning new concepts with every turn of their heads, to them learning is play and learning through play is fun not just for them but for parents too. There’s no need to buy expensive equipment. No need to enlist them in special playgroups. Just a small amount of time spent making a few resources and playing together is sufficient. They will learn so much and will be content to play on their own afterwards. 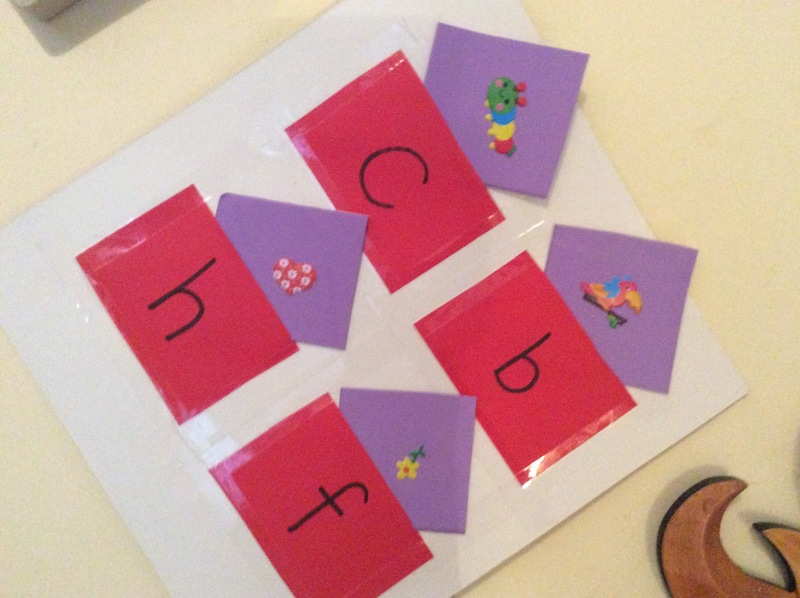 Letter recognition is an important pre-reading skill and one that can be acquired through play. There are so many fun activities to help with this. 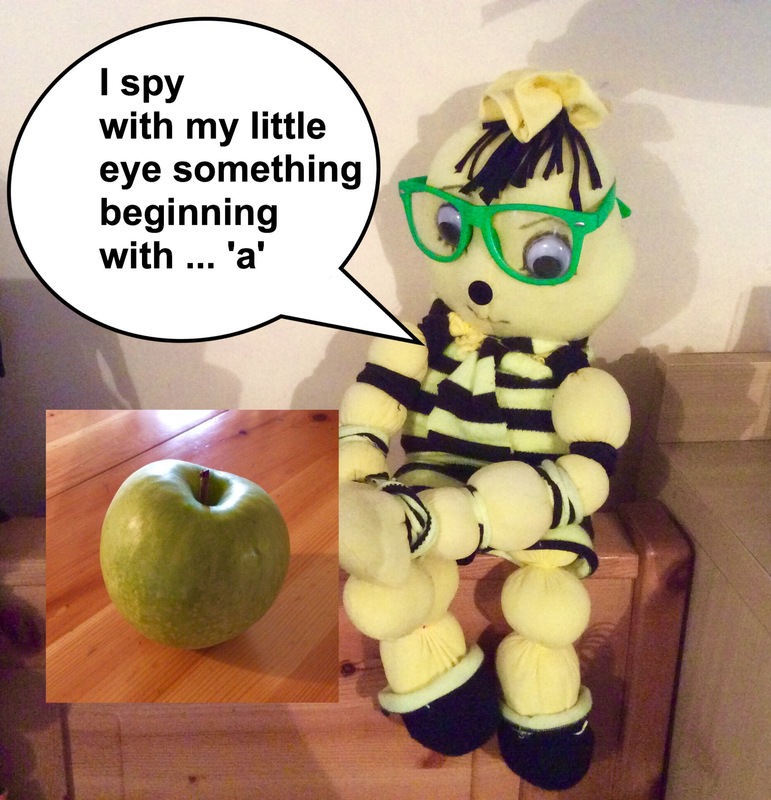 The old traditional game ‘I Spy with my Little Eye’ remains one of the best and requires no preparation or resources. It is great on shopping trips and journeys and children love it! With very young children beginning to learn sounds it is best to say ‘ ……something beginning with the sound ‘a’ or ‘d’ rather than the letter name. When my eldest was two I decorated the walls of her bedroom in lower case letters in pastel colours of paint. I don’t remember how this started but I do remember that her bedtime routine, in addition to a story, was to recite the letters painted on the walls. She refused to go to sleep till this had been done! We started with just three letters and when she knew these a new one was added. I guess it’s not everyone’s idea of good decor although it did look pretty and was cheap.and easy too! I really hope you find the video useful. Please take a look at the others in the same playlist. They are all for parents of young children. Your children may enjoy the art and craft and science programmes. Everything is free. Thanks for taking the time for reading this.